Showers were predicted although the Upper Derwent valley forecast suggested these would not be until late afternoon or evening. We did hear from Linda, the duty Ranger, that it was cold and windy and wet in the alpine area, but at the visitor centre it remained lovely and sunny. 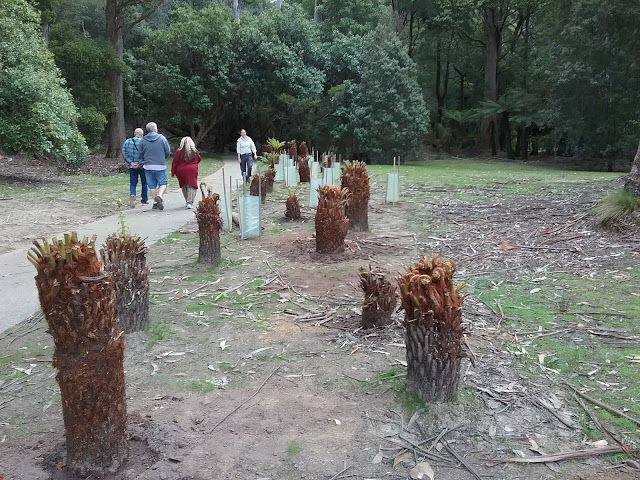 Beside the new track to Russell Falls a group of Tree ferns (Dicksonia Antarctica) had been placed in too uniformly spaced rows and Parks wanted them to be set out in a more natural looking way. There were also a small number of shrubs remaining from a grant and these were interspersed with the ferns. 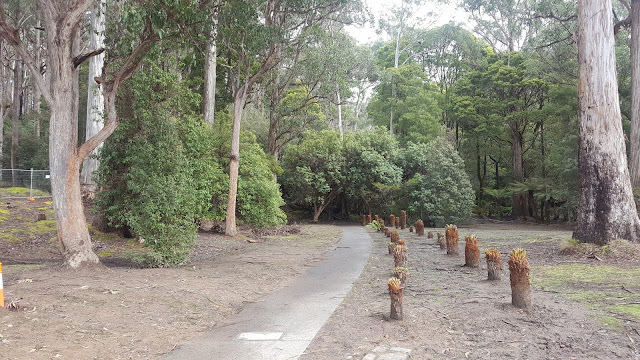 A temporary fence was a potential task but as it was both a larger job than imagined and there was now some doubt if Parks still wanted the fence, we left this off the work list. 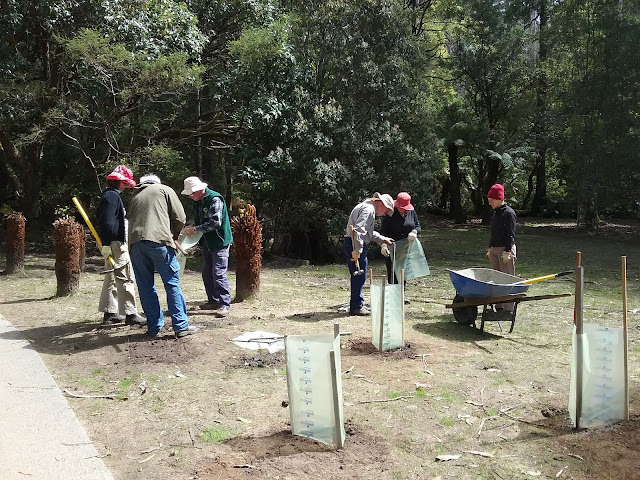 It did mean the work for the day was finished by lunchtime, giving us a shorter and easier day than is often the case. On rereading the instructions left for the ferns, I realised that I had forgotten the suggestion of moving some ferns to the other side of the track. We had actually discussed this amongst ourselves and there was some conjecture about purchasing some Musk and other plants for there. So, this is something to discuss with Parks. More photos are on line.